Black Friday is just around the corner and that means that you’ll soon be able to pick up your favorite DC shoes and gear at some of the lowest prices of the year. So what’s coming this Thanksgiving weekend from DC shoes and how much can you expect to save? Let’s find out! It’s still too early for us to have the “official” Black Friday details from DC Shoes, but looking back at last year, you can expect to save up to 60% off on some of DC’s best selling shoes (up from 50% from the year before) and up to 20% off select snow styles throughout the long holiday weekend. Free shipping will on all orders of $29 or more is, as always, included. The moment we know more we will post an update here for you on Blacker Friday… Check back soon for the latest news or signup to our newsletter to stay informed. Until then, you can head on over to DC Shoes’ sale page where you’ll be able pick up some pre-Thanksgiving day deals for up to 60% off (we found deals on shoes for as low as $37.99). You can also get 15% off your next purchase when you sign up to the DC Shoes newsletter (new subscribers only – offer seems to be ongoing, the expiration date unknown). Good luck and happy bargain hunting! Find any really good deals on DC Shoes or gear? Or maybe you have a promo code to share? Let us know where and how you saved in the comments section (you’ll find the comments at the very bottom of this page). Updated on Sunday November 18, 2018: Thanksgiving may still be a few days away but DC Shoe’s Black Friday sale starts today and runs though Friday! Visit their site to take advantage of their Black Friday “sale on sale”. You’ll get an extra discount on sale items, now up to 60% off, and up to 20% off select snow styles. All sale prices are as marked so no promo code is needed. And it’s while supplies last, so the sooner you shop the better chance you have on finding something you like (in your size!). The sale runs through November 23, 2018, online only. Orders of $65 USD/CAD or more receive free ground shipping. As always, some exclusions may apply. Updated on Monday, November 20, 2017: DC Shoes officially kicked off their Black Friday sale just moments ago! Check out dcshoes.com to get up to 50% off some of your favorite shoes, clothes, and accessories. Free shipping is also included on orders of $29 or more. Just be quick because their popular items will sell out. Sale runs through Thanksgiving weekend. See site for official terms and conditions. Men’s Court Graffik SE Shoes — Available in 6 different styles, they feature leather and/or suede upper (depending on the design chosen), foam padded collar and lightweight mesh tongue for support, and DC’s trademarked Pill Pattern tread for ultimate grip. Men’s Pure Shoes — Simple, stylish and classic… what more can we say? They look good with jeans or shorts and should last a while regardless if you use them to skate or just walking around town. They come is 8 different colors but or favorite is this wheat/chocolate one (looks sick!). Men’s Heathrow Shoes — Not the best skating shoe, but it’s perfect for everything else — from the gym to hiking, and simply walking around. They are comfortable, lightweight, non-restrictive, and breezy. They normally retail for $65. Women’s Chelsea SE Shoes — A great pair of kicks for the ladies! They are comfortable, cute, and should last you forever. They feature a Nubuck upper, vulcanized construction, vents for breathability, and DC’s trademarked Pill Pattern tread for grip. Remember that PacSun and Tilly’s are two good stores that often has pretty good deals on DC Shoes as well so be sure to also take a moment to see what’s on sale from them. Just like last year, DC Shoes is offering a site wide discount on just about everything in the store. Unfortunately, we were expecting to see 30% off but it’s 25% off this year (snow items limited to 20% off). Still a pretty good deal, don’t get me wrong. You’ll get free shipping included as well in the United States on orders over $29.00 (Canadians must spend over C$39.00 to get it). Just remember to use coupon code FRIDAY at checkout to activate the savings on your purchase. As is life, exclusions always apply. That includes gift cards, e-gift cards, skateboards, notebooks, portable chargers, 3rd party styles and these full price styles: snowboards, snow boots, Evan Smith S, Evan Smith HI, Evan Smith HI SD, Evan Smith TX. Sale ended November 27, 2016 or while supplies last. Happy bargain hunting! 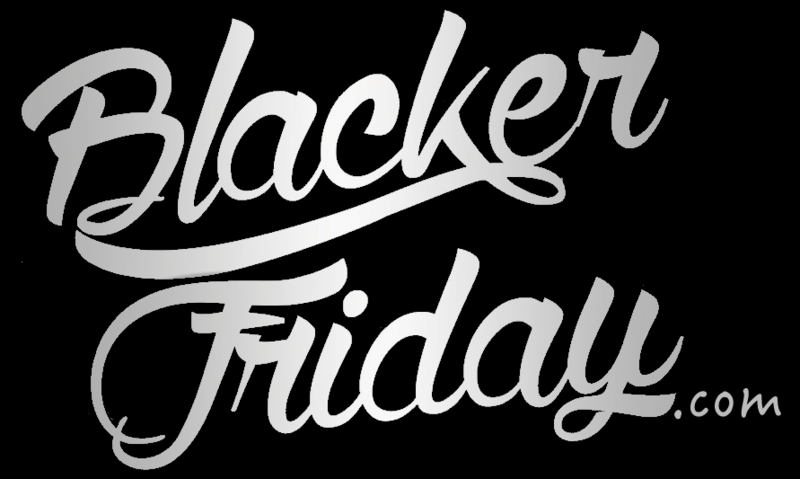 We just got the details from DC Shoes regarding their 2015 Black Friday sale! This year you’ll be able to pick up any of your favorite DC shoes and gear for 30% off with promo code FRIDAY30. The sale last through the entire Thanksgiving weekend at dcshoes.com (Thursday November 26th through Monday November 30th, 2015). Be sure to also see DC Shoes’ sale page where the coupon will also work on all of the sale items which are already 30% to 50% off. Certain exclusions may apply so be sure to check out the terms and conditions once the sale goes live. If you can’t figure out where to pick up your new pair DC Shoes and dread even thinking about going to the mall today then you’re in luck – the official DC Shoes online store is giving you the entire weekend to get 40% off anything you choose. And that’s not only on shoes but on all their jackets, shirts, accessories, and everything else. The only stuff that’s not included in the offer are full priced snow gear, third party items (including GoPro) and gift cards. Oh and remember to enter coupon code FRIDAY40 at checkout to activate the discount. DC Shoes: Helpful Links & More! Find the nearest DC Shoes retail or outlet store in your neighborhood.